Not that long ago, units at the Willys Overland Lofts were far less costly. In fact, seven years ago, the lofts weren’t selling briskly. 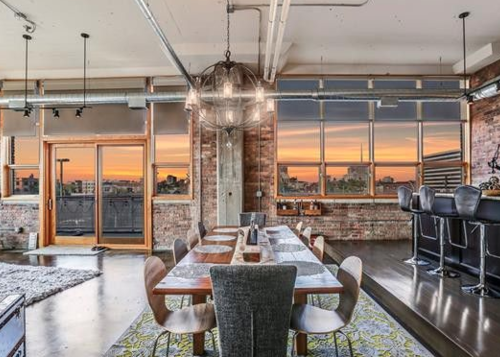 Now, a two-bedroom, two bathroom loft on Willis, just off of Cass Avenue in Midtown Detroit, is listed for $925,000. Calorie alert: It’s located right next door to Avalon Bakery. . If you love the hustle & bustle of the city but prefer a more elegant & refined living space, you will find yourself smitten with this unique corner unit! This quiet abode offers 2, 484 sq ft of well-designed space w/approximately 12 feet of lofty ceiling height. Experience the expansive living & entertaining space, bathed in lots of natural light which streams thru the stunning oversized custom windows. The gourmet kitchen offers a spacious elevated layout w/granite island bar w/seating for 4-6, premier stone/wood finishes and premium stainless appliance package. The master suite offers more luxury w/ensuite spa shower for two, dual vanities, enclosed laundry room & private commode. 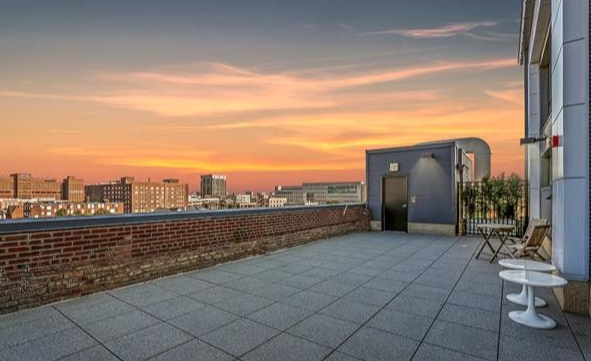 Take in the city sights on your private balcony or up on the community rooftop terrace overlooking the city skyline. Located in close proximity to Midtown’s fine dining, boutique shops, jazz bars, art galleries, Q-Line, LCA & Downtown Detroit. Unparalleled urban elegance awaits you.